Sterifeed single use latex teat units are a traditional softer alternative to more recent latex free versions. 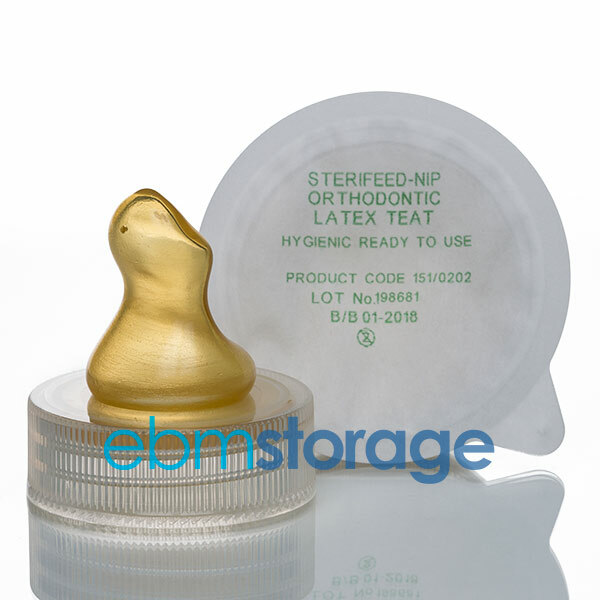 This orthodontic teat is suitable for use from birth (full-term). Existing users may wish to take advantage of our discounted boxes of 100 teats, whilst new users can order as few as 25. Do not heat this product. Microwaving these teats will damage the plastics and create a potential choking hazard. These teats are designed to be used once only and discarded. The teats must not be reused in the hospital setting. The ideal companion to a Sterifeed teat is a Sterifeed bottle. Browse our Sterifeed glass and PP bottles via the links within the top menu on this page.